Yankee Candle at P.C. Fallon Co.
YANKEE CANDLE is known as America's Favorite Candle. P.C. Fallon Co. is proud to offer a wide variety of fragrances and products from one of the most poplar candle makers. 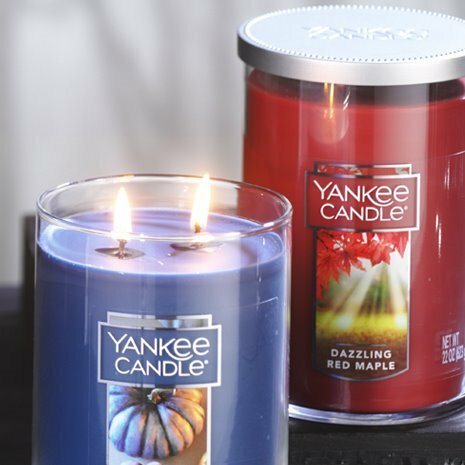 Unlike other candle brands that contract their candles out to overseas makers, Yankee Candle produces most of its items right here in the USA at its Massachusetts facility. P.C. Fallon Co. offers dozens of appealing fragrances from Yankee Candle. Choose from candles of all sizes and shapes including jar candles, tumbler candles, votives, tea lights, as well as flameless fragrance options such as wax tarts, room spray, car jars, and Easy MeltCups. Use the links below, organized by fragrance, for product information and to order.